Sooner or later, HTML5 is going to strengthen its position even further, then, one way or another, you still have to learn it anyway. There is a saying that goes: “If you are not ahead of the times, you are behind them”. So, why don’t you learn it now, then you will be the master in future! 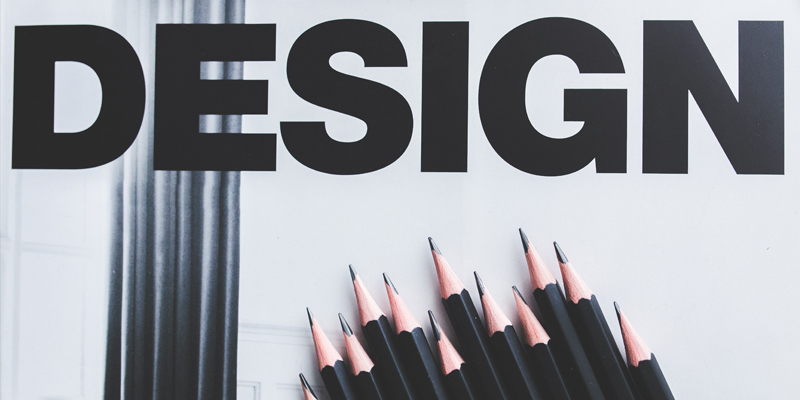 With this in mind, I’ve rounded up top 12 brilliant, useful HTML5 resources which could help you shorten the time you will take to learn this awesome technology. Let’s roll! 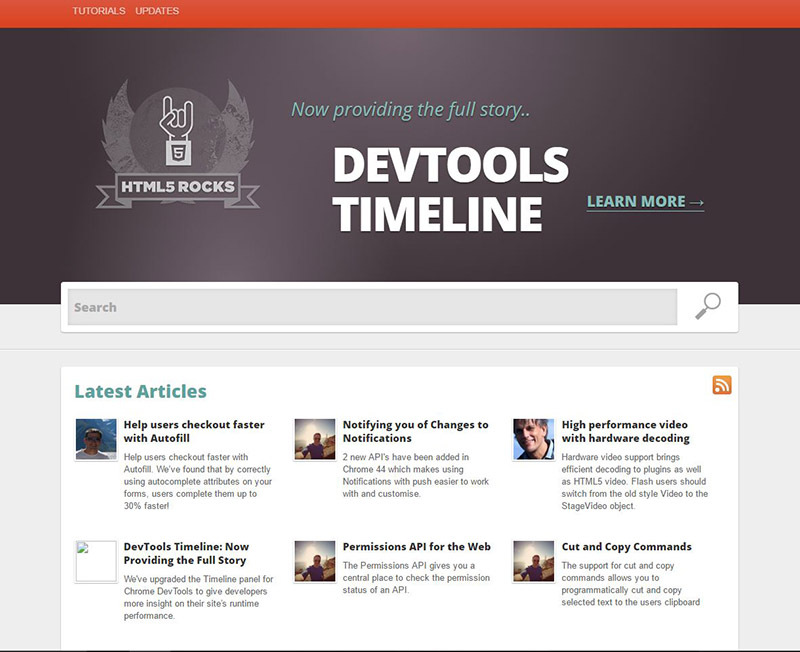 HTML5 Rocks is an awesome resource where you can get all information on specific features of HTML5 and how to use them in your projects. 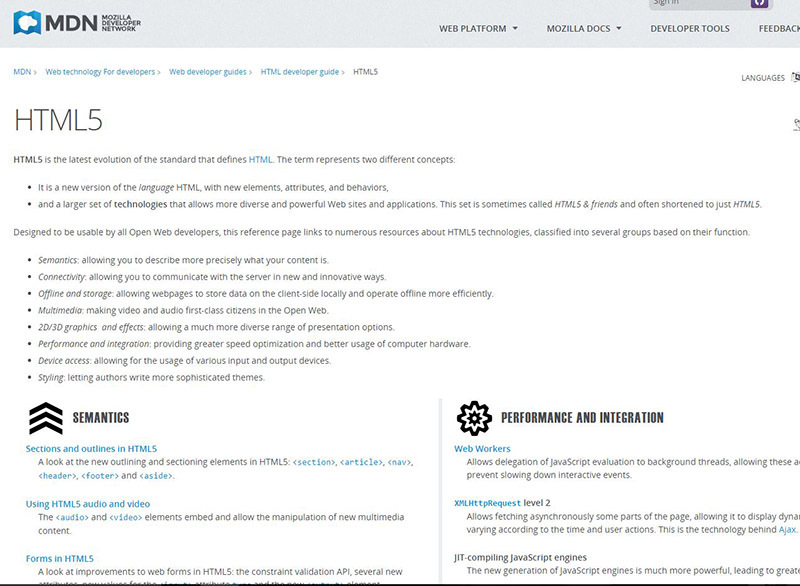 The site has a “code playground” providing users environment to experiment with the tags and get the results immediately. Besides, several web page layouts are also provided. Let’s take a look at the sections on the left side of the page, you can see that they are categorized into basics, tutorials, questions and answers, etc. 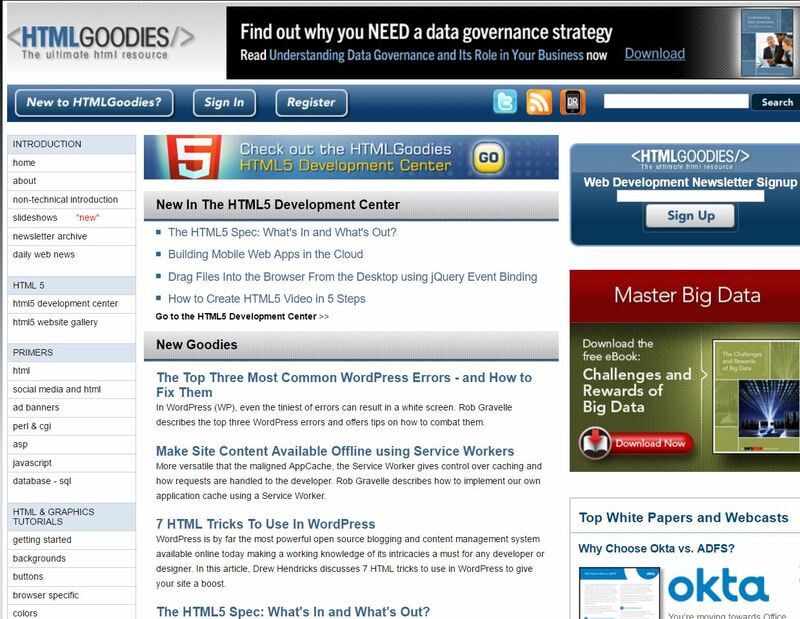 HTML Goodies is absolutely a great place for beginners to get their feet wet with and to quickly gain knowledge about all features of HTML5. 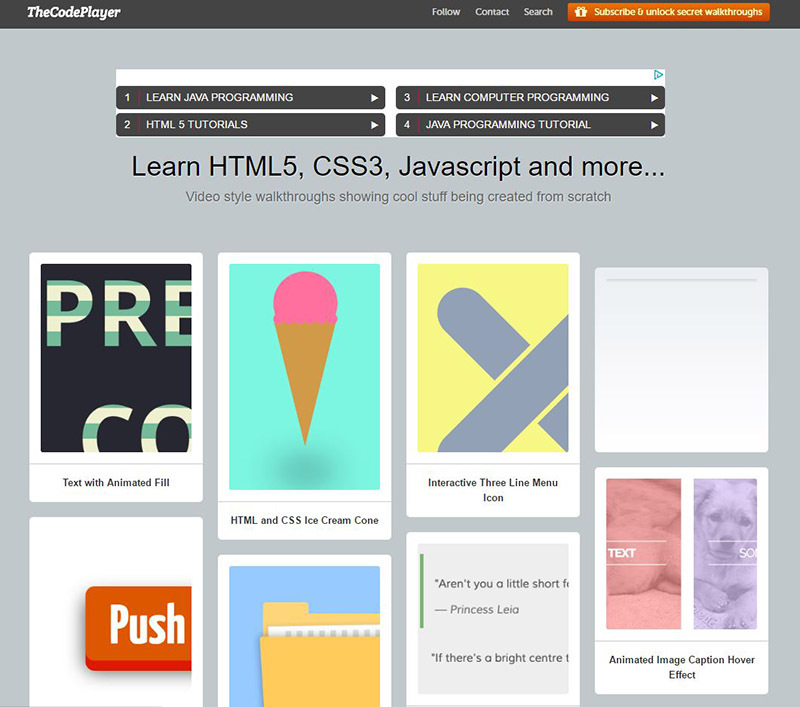 From all resources I saw, this site is still one of my best resources to learn the basics of HTML5. 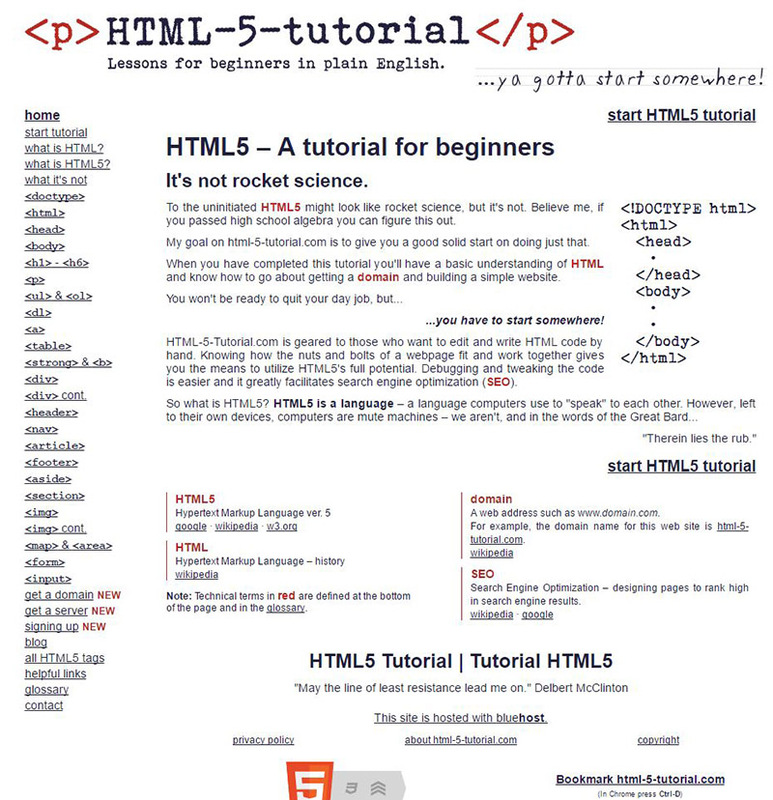 If you are a beginner in HTML5 and want a solid start in a short time , then HTML5 Tutorials is a good fit for you. 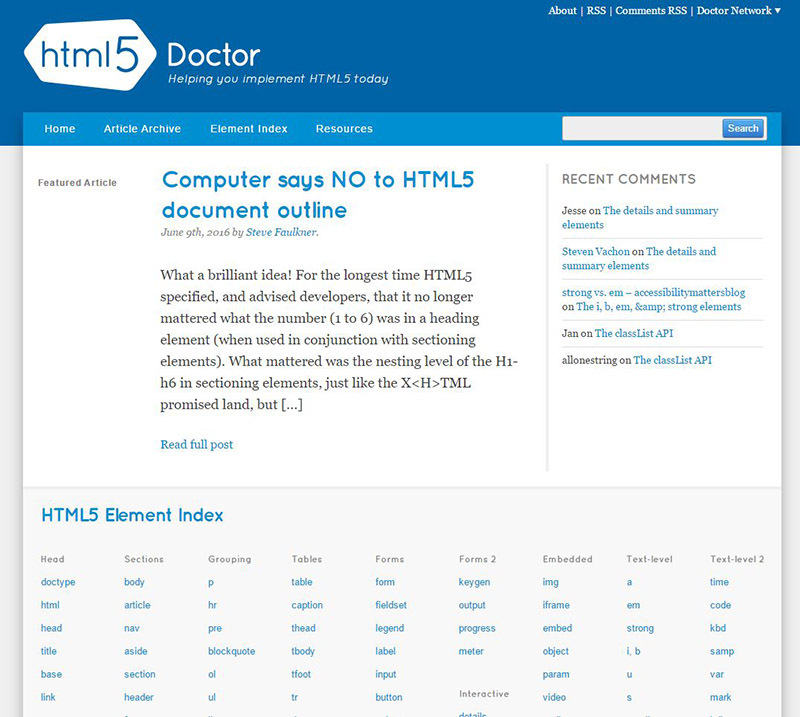 If you’re learning HTML5, you can’t avoid mentioning HTML5 Doctor. 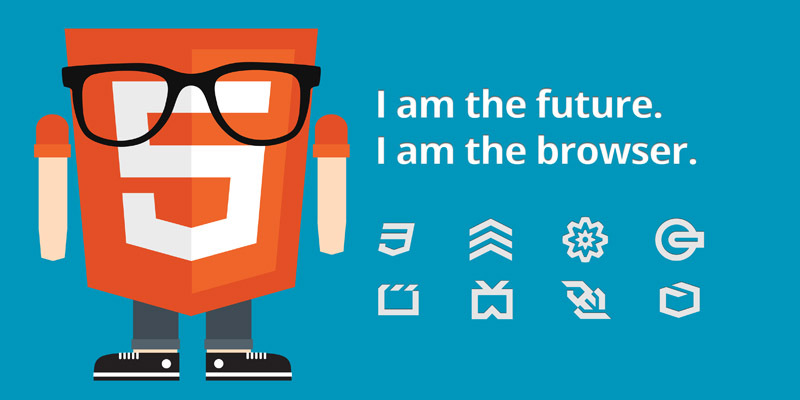 With the slogan “helping you in implement HTML5 today”, this page gives you everything you need as well as an awesome “Ask the doctor” Q&A section in which you can find solve all your problems by excellent expert around. What a brilliant resource! Its name said it all. 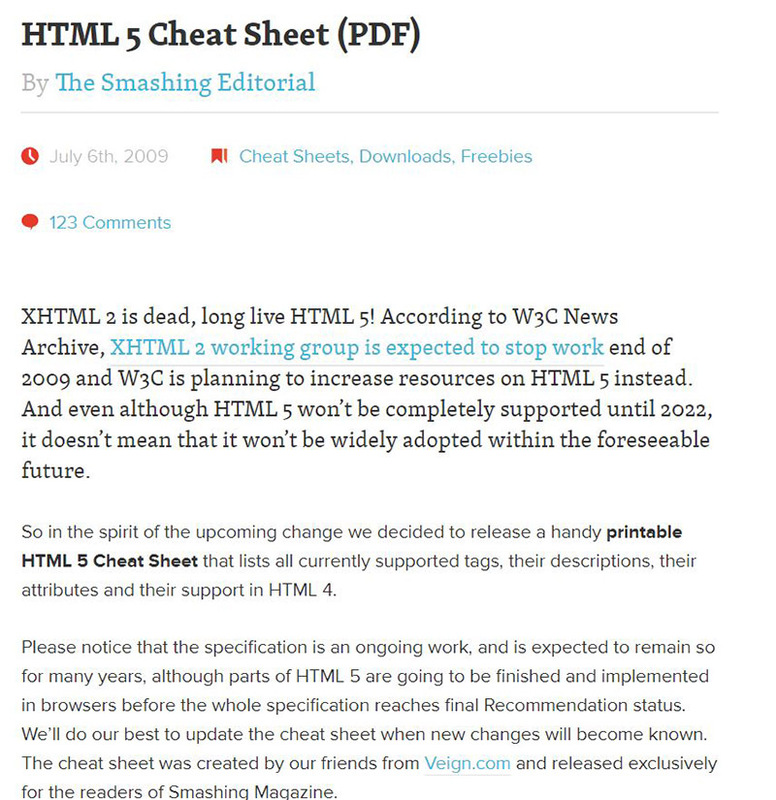 It’s just a HTML5 cheat sheet in PDF format that can be printable for use when you are offline. This sheet lists all currently supported tags, their descriptions, attributes, and their support in HTML4. 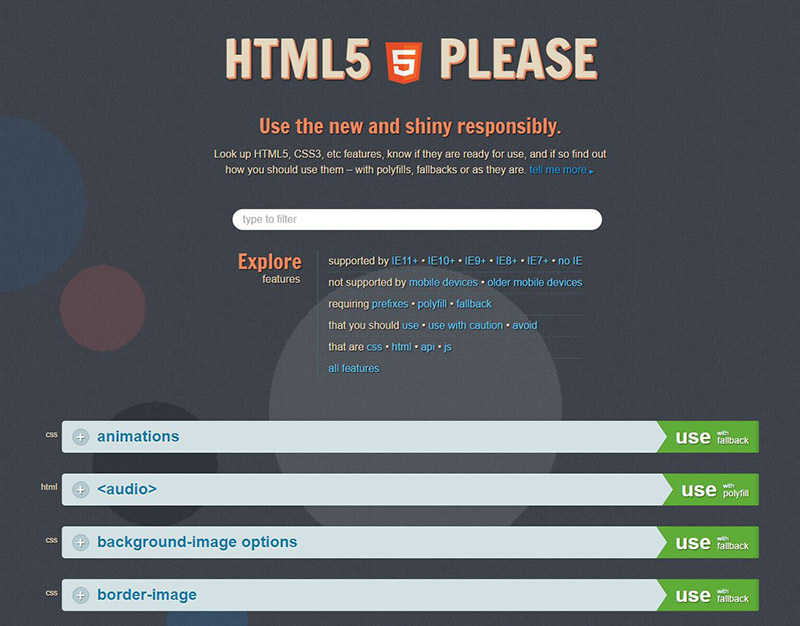 Choosing and looking up features of HTML5 to use is much easier with this great resource. 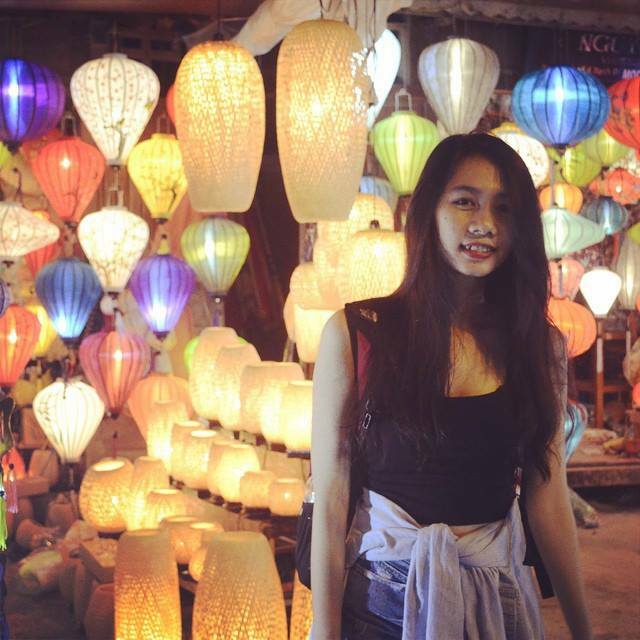 It also provides advice in making decisions about how to implement the computer language into your projects. This website is clean and extremely easy to navigate, using symbols, lists and a simple grid to lead to you the desired information. For those who prefer reading book, this is a good one you must have. 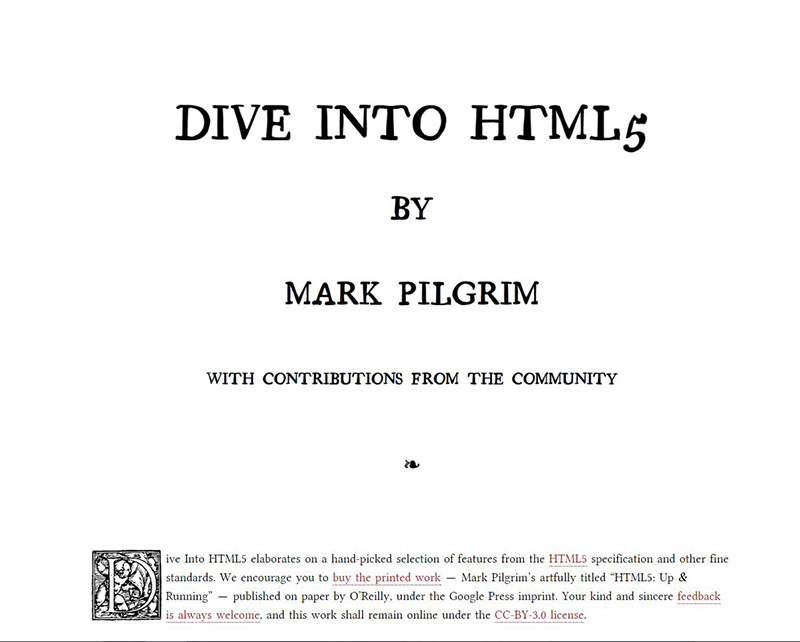 This online book from Mark Pilgrim will help you really get to grips with the basics of HTML5. 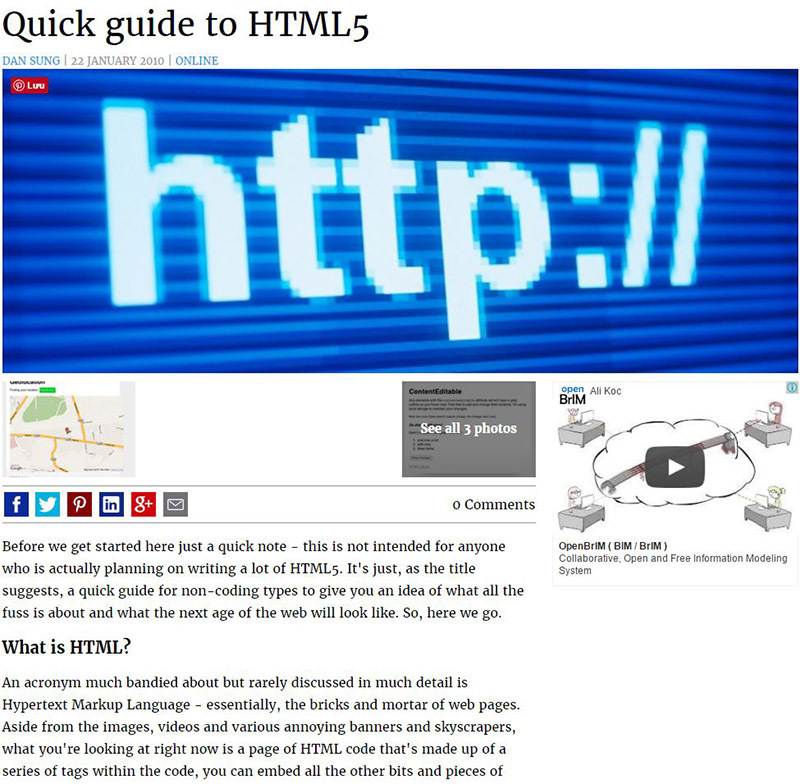 This one gives you a basic and detailed introduction to HTML5 and its features. 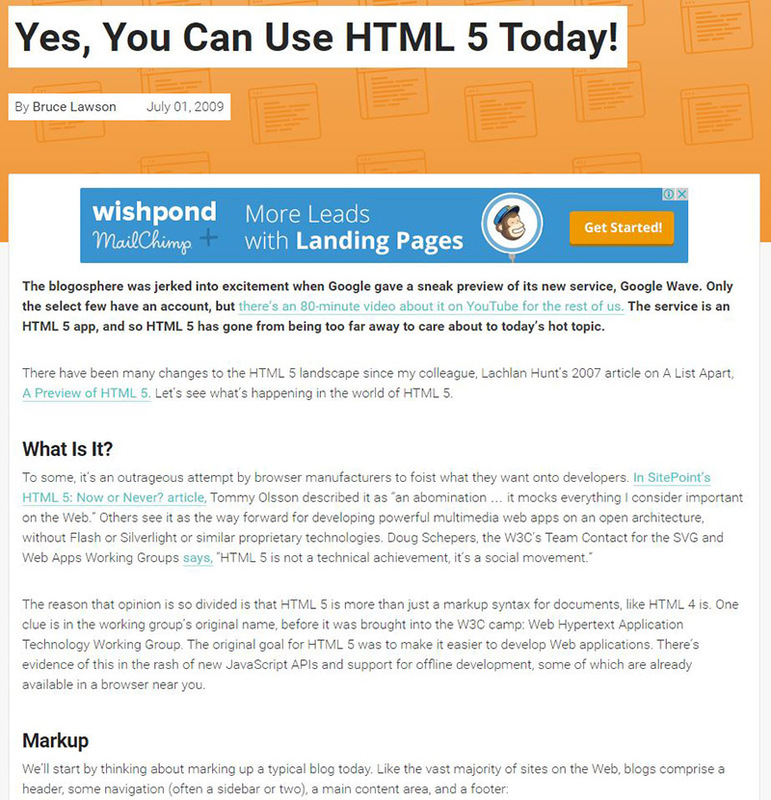 The article brings to you an insightful look at the capabilities of HTML5, while describing potential application that will come out of it. 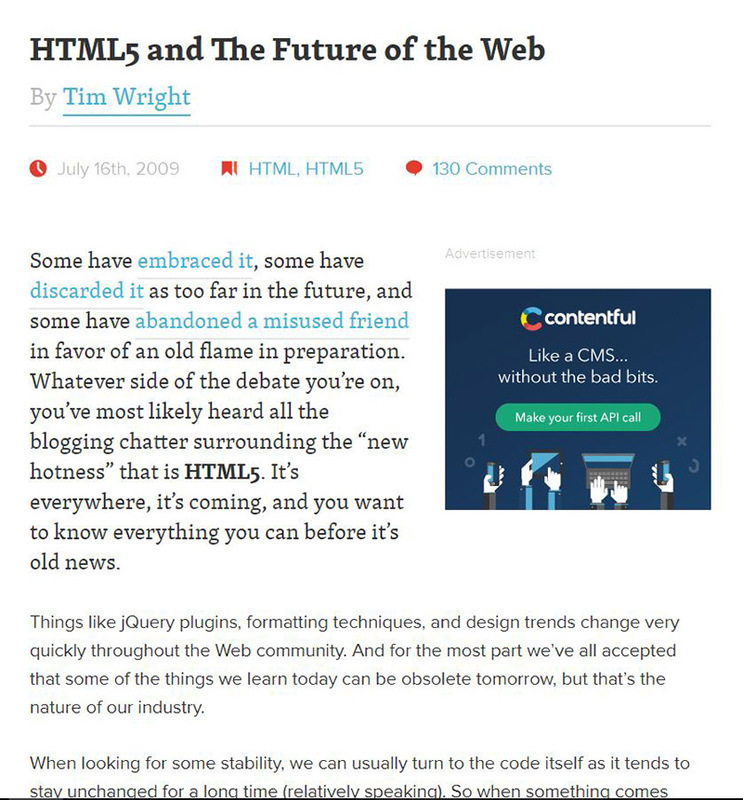 A must read for a novice web developer, the article explores the potential of HTML5. 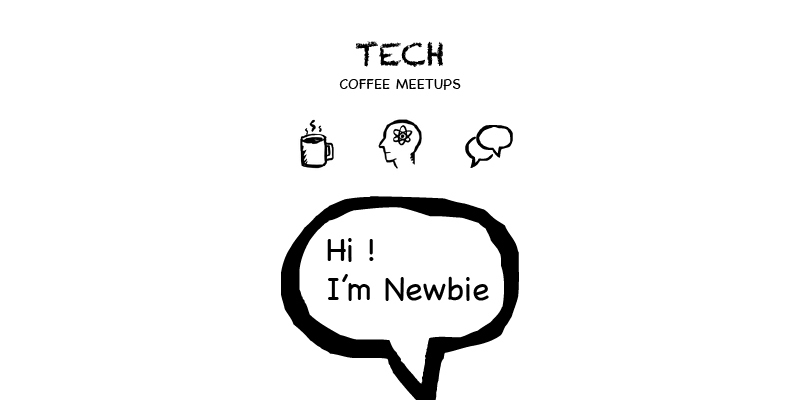 It also probes several new features of HTML5, and point out how the language can be easily used by newbies. 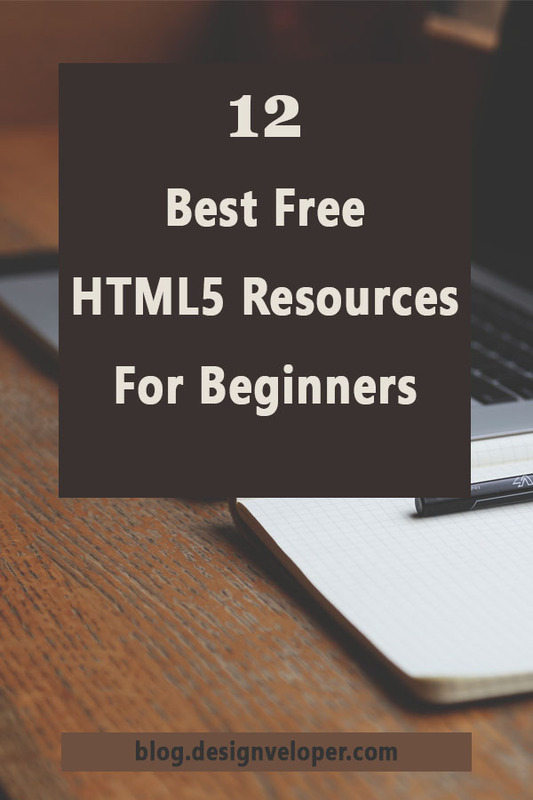 There’s a ton of free beginner HTML5 tutorials out there for you to choose and they will help you gain a solid understanding of HTML5. This is my favorite list. How about you? Did you have any “I can’t believe you didn’t put it on your top 12” resources? Feel free to share your secret weapon in the comments below!